"MARCO IS ONE OF THE UK’S LEADING MANUFACTURERS OF CABLE CONTAINMENT SOLUTIONS TO THE HEALTH SECTOR. " 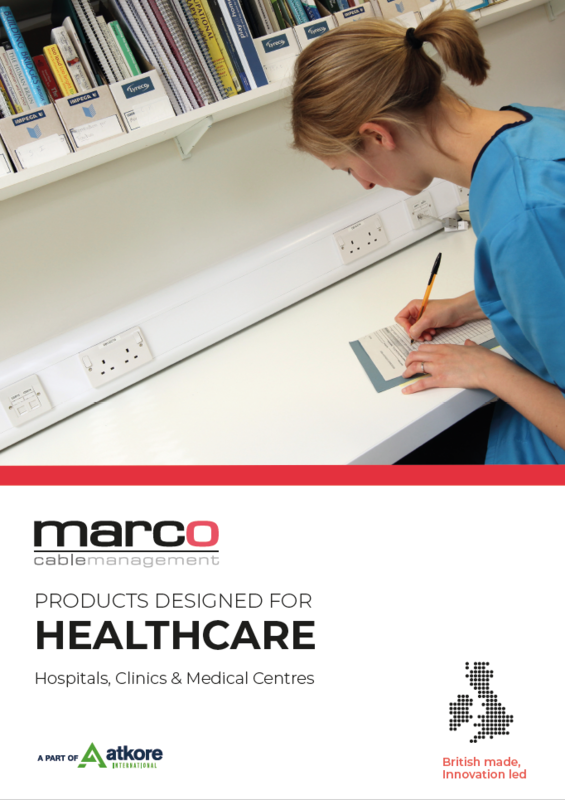 Marco is one of the UK’s leading manufacturers of cable containment solutions to the health sector. Modern hospitals, walk-in centres and surgeries have embraced Marco’s ranges where the firm is able to deliver a one-stop solution. In recent years, Marco has developed a uPVC trunking range specifically for this sector. The Elite Hygieia range offers a unique built-in antimicrobial protection. Marco are proud to be able to offer such a diverse and adaptable product range, which are designed and manufactured with all users in mind, ensuring that strict specification guidelines are met, and delivering the best quality product possible. All of Marco's products meet the latest British standards, including ISO 9001 and 14001.